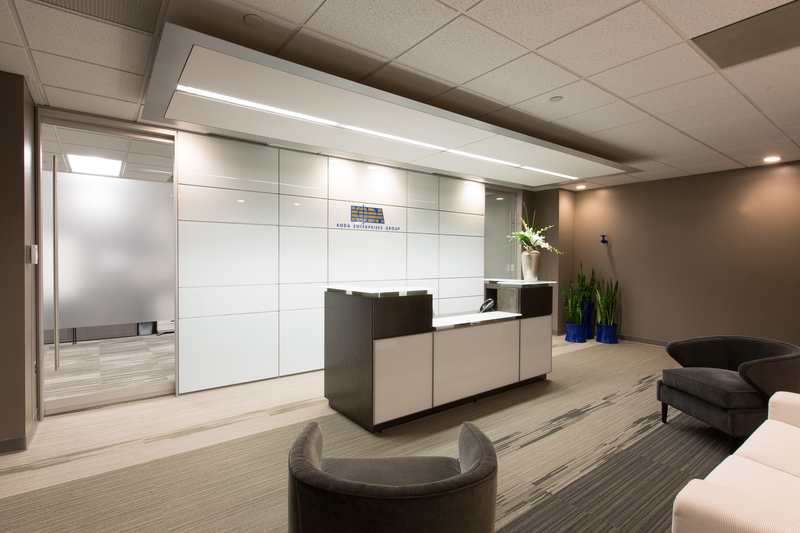 When KODA needed a new location for their corporate headquarters, they enlisted the design team to transform 3,000 square-feet of commercial space into a current, sophisticated style representative of the company’s international aesthetic. 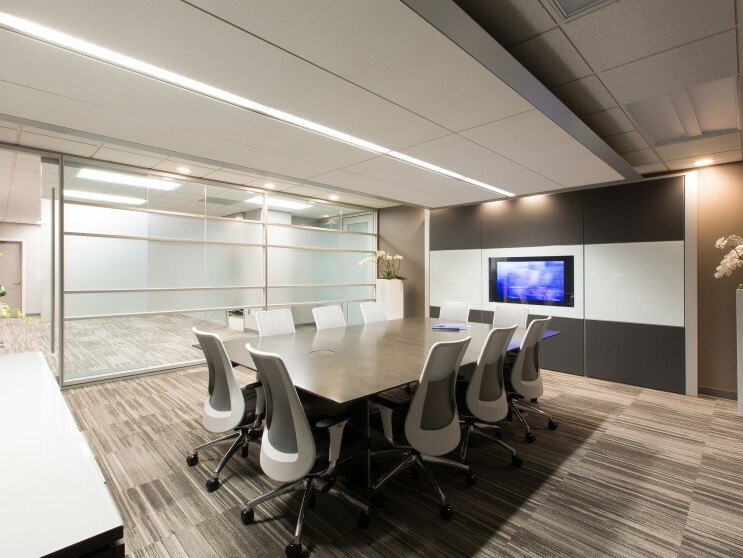 The design challenge was to reconfigure the existing floor plan to accommodate a new reception area with glass walls, conference room with video conference table, private offices, and expanded kitchen. 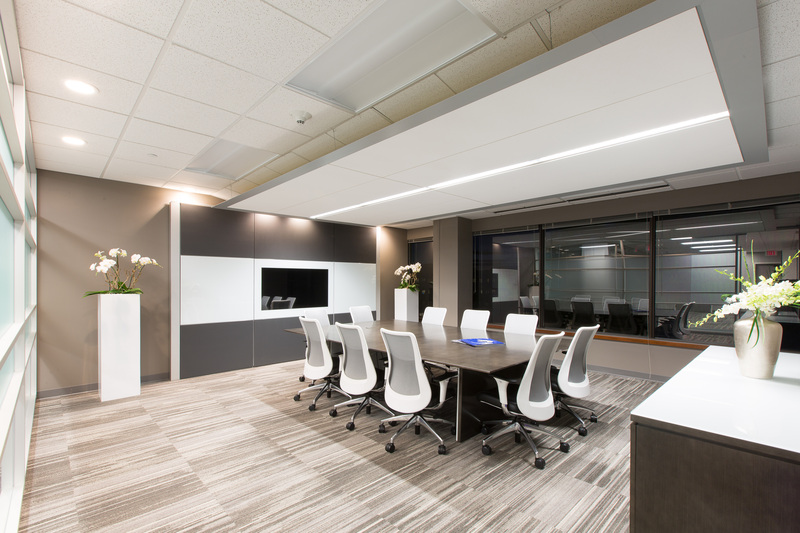 Additionally, the materials selection, lighting, and custom furnishings had to work in tandem to resonate a new corporate identity. 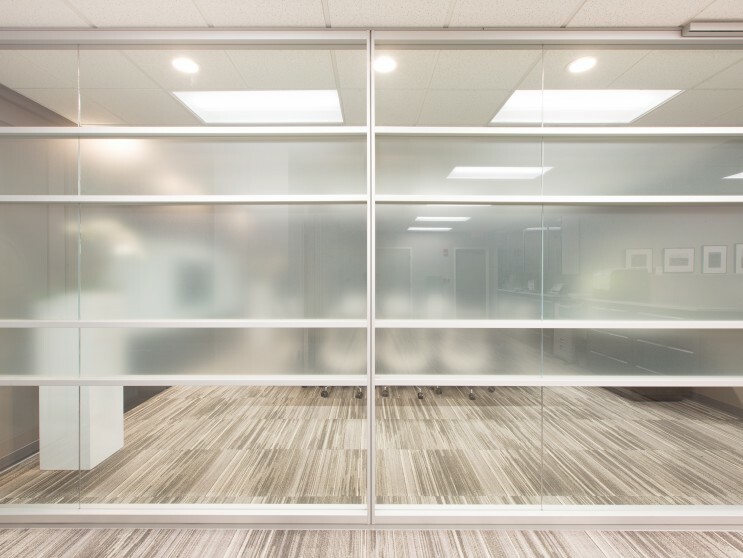 The impressive program also took a high tech path and integrated wiring into the glass wall systems. 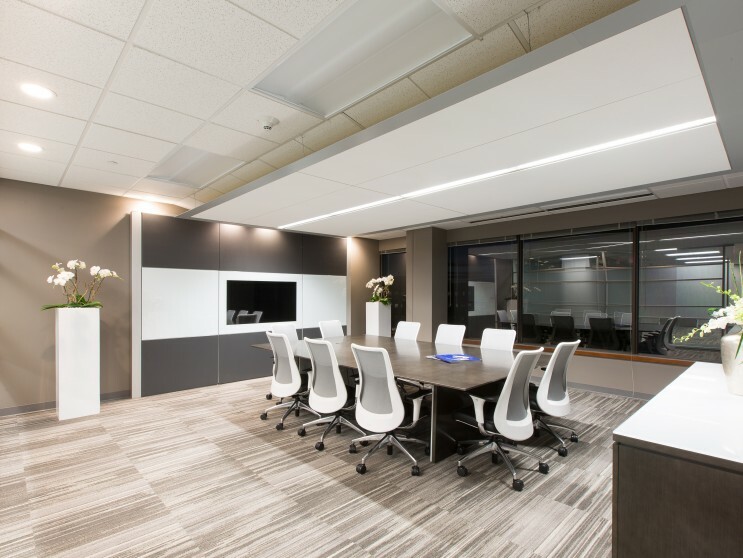 A well considered grey and white palette showcase the architecture and the interplay of color and pattern create a sense of drama throughout the office environment. 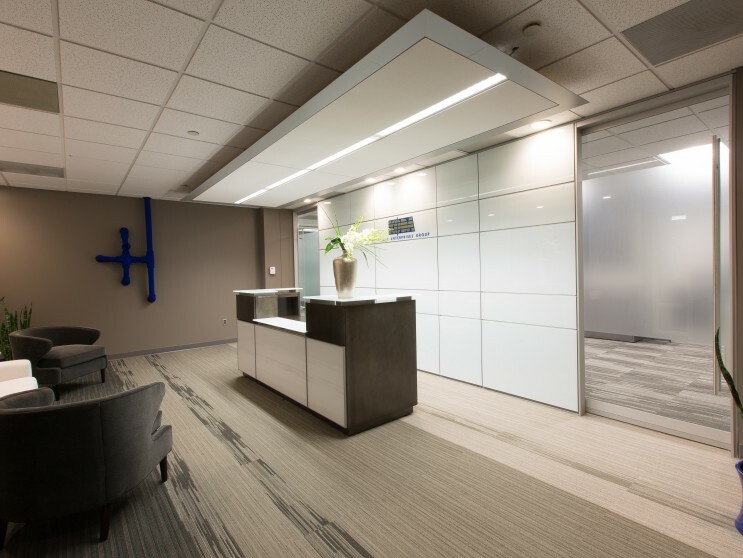 The carpet’s composition in the reception area forms an illusion of eroding from dark to light grey as it moves from one end of the room to the white glass partition wall. Carrera marble tables, custom sofa upholstered in white striated Italian leather and a pair of arm chairs fashioned from grey wool distinguishes the seating area. The furnishings echo the fine detailing of the custom receptionist’s desk crafted from nickel, glass, and slate English Sycamore. 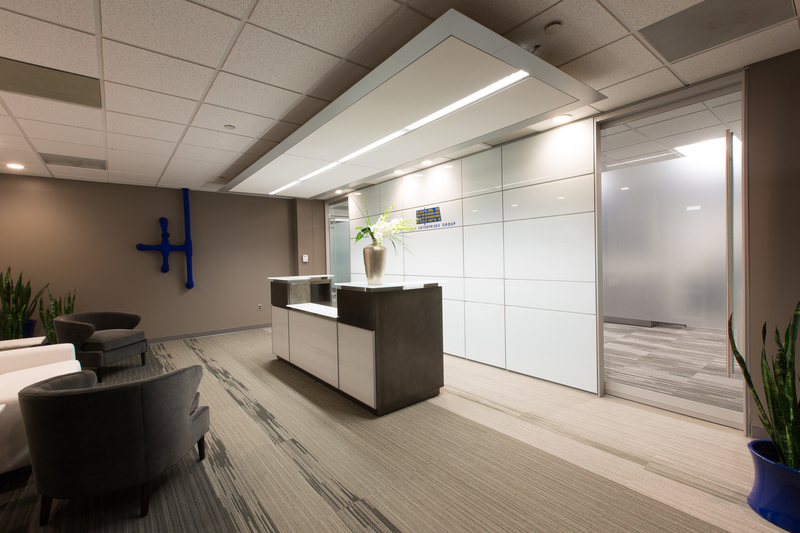 A rectilinear light fixture with axiom knife edge appears to float above the desk. A grey wall provides the perfect backdrop for a cobalt blue felt sculpture by Chilean Artist Johanna Unzueta. 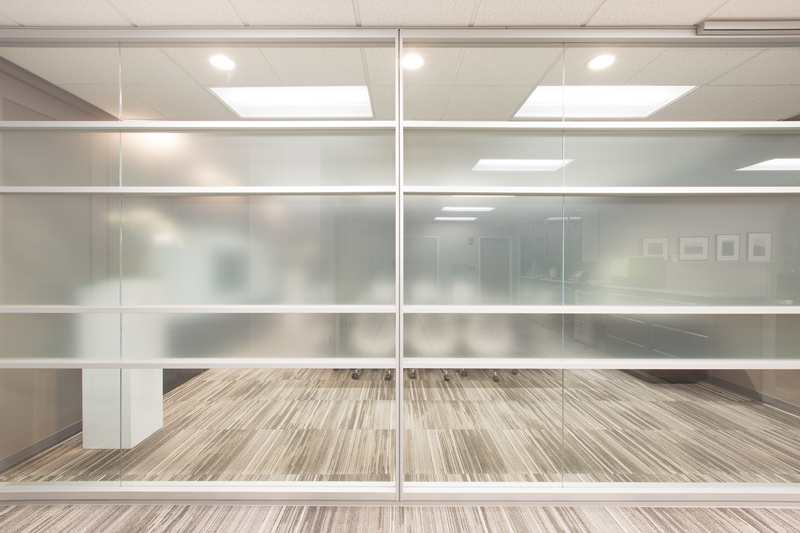 A glass wall partition separates the conference room from the hall and adjoining offices. Silhouettes of employees passing by the glass infuse the space with movement and energy. 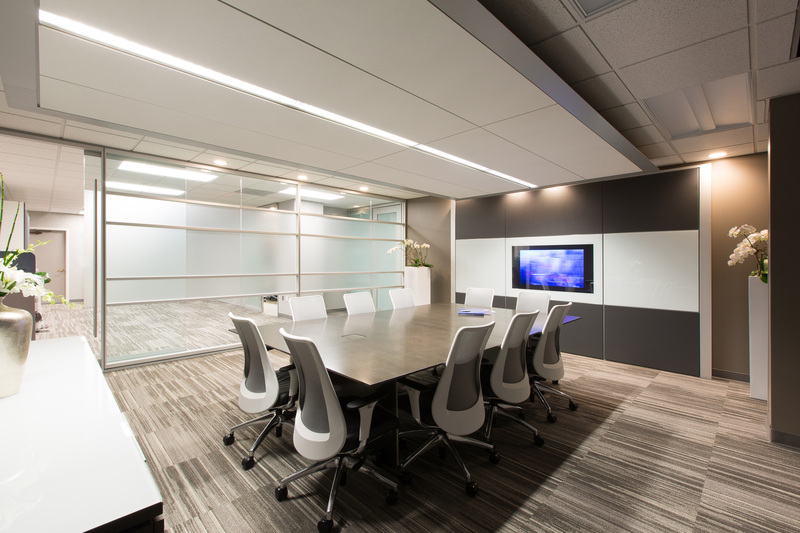 A custom nickel, white glass, and charcoal veneer conference table is flanked by chairs boasting white frames, silver mesh, polished aluminum, and black leather. The coordinating credenza features a built-in refrigerator. 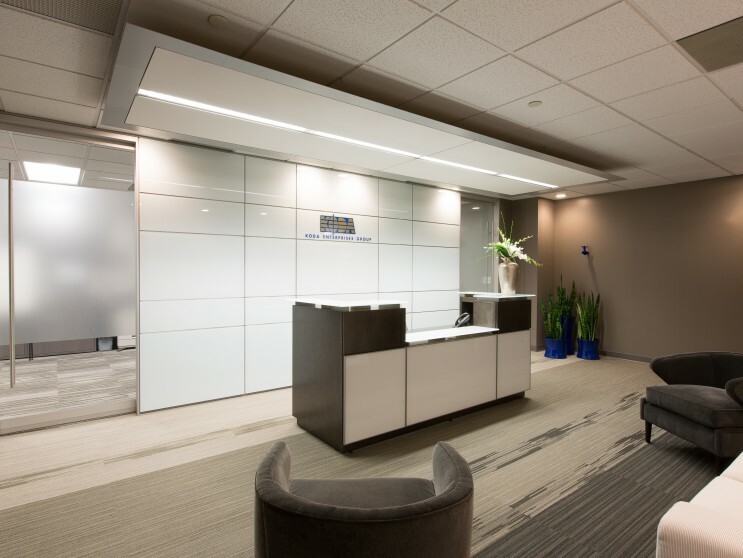 The rectilinear light fixture above the table and grey walls completes the design and form a seamless connection between the reception area and conference room.